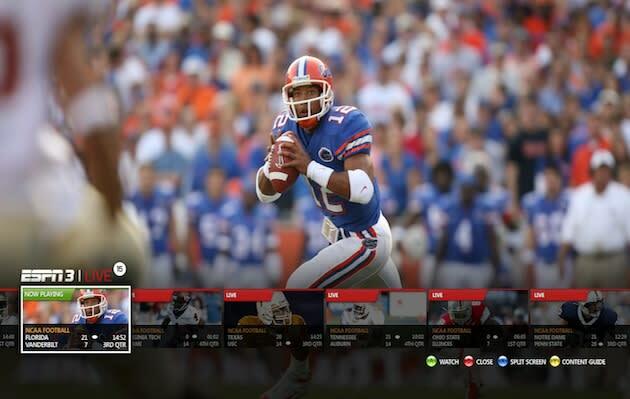 ESPN and Microsoft are planning to update its Xbox 360 experience with some fan favorite features. If you&apos;re a serious follower of a few teams across several sports, you&apos;ll enjoy all what this upgrade has to offer. Voice Control with Kinect ™ - Focus on your team instead of looking for the remote. Navigate through the Content Guide, skip to the next highlight, or play, pause, and rewind that big play…all with the sound of your voice and the magic of Kinect. The "worldwide leader in sports" is being overhauled on Xbox LIVE with a new user-friendly redesign, deeper levels of personalization, bringing you closer to your favorite sports than ever before. Look out for the update to go into effect on August 25.